At approximately 3pm today (Tuesday May 14, 2013), a four story building collapsed while under construction. Local authorities estimate approximately 50 people were working on the site. At this time we can confirm that three workers at the site lost their lives as a result of this accident. A further 21 have sustained injuries and are being treated at the nearby hospital. The search and rescue mission undertaken jointly by the RNP and the RDF has been completed and the site is clear. 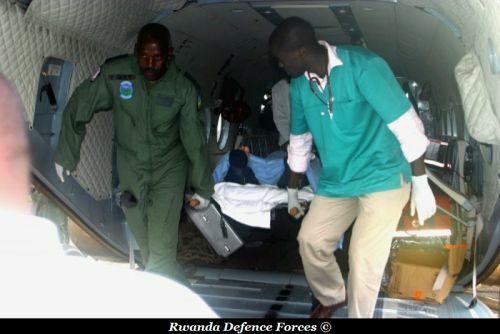 @RwandAnFlyer @ndahirojoe Very unfortunate.#RDF and other organs on ground. Helis have already evacuated 2 casualties to hosp. Nyagatare update: Owner of bldg among the 4 evacuated to kigali for treatment. Rwanda has MI-17s to rescue people. 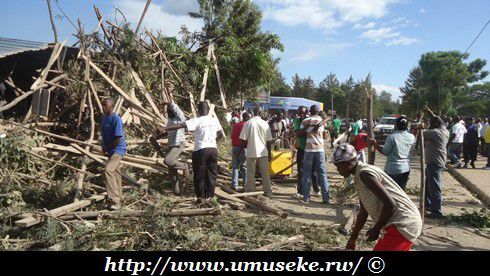 They were dispatched during the 2008 Earthquake, the car crash of Ambassador of Christ and also during various road accidents in Uganda, Rwanda and Burundi. RwandAn Flyer team extend their condolences to the families of those who have perished in this terrible accident. Pictures below are not related with the Nyagatare building collapse.